If you notice people ambling along the street and talking to themselves, the chances are that they are talking on the phone but using a hands-free mobile phone kit. 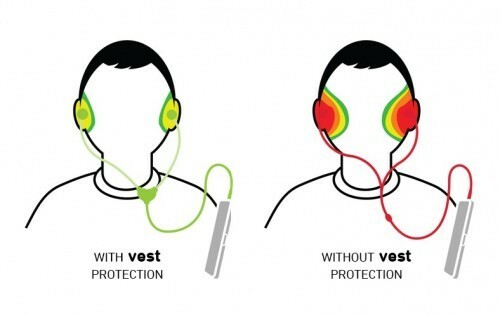 These headsets sound like a great idea as they keep the phone, and you might think the radiation, away from your head. But if you use one for protection you will be alarmed by the findings below. Caution – Many Headsets May Increase Your Exposure! It was thought for some time, that the best recommendation to help reduce your radiation exposure to mobile phone radiation was to use a headset. It was thought that since radiation decreases exponentially over the distance between you and the phone, this would solve the problem. Research published by the UK Consumers Association showed that these headsets may actually intensify your exposure to harmful radiation! Results showed that the cables of some hands-free headsets acted like aerials, channeling dangerous radiation to your head. In fact, testing has indicated that your cell phone headset may actually raise the amount of radiation emitted by more than 300 percent! To measure radiation levels, they used a laboratory with an international reputation for mobile phone tests and tested a number of regular wired headsets. 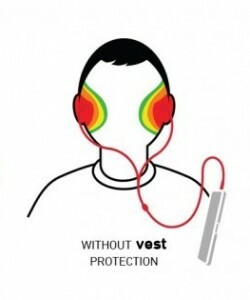 Many people have devices to keep radiation away from their head – hands-free kits. 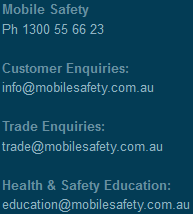 Some of these are sold by retailers or packaged with mobile phones. Others are available by mail order or the internet. But the ones we’ve tested have one thing in common – they don’t work. Other hands-free kits could have similar effects. These results took us by surprise… looking at several other kits, our experts thought they would also conduct the radiation. You can make a hands-free kit that doesn’t act as an aerial – but this would need to be taken into account when designing the phone. The British Independent Group on Mobile Phones suggested that headsets are an ideal solution only if they were used with filters to stop the headset wire from acting as an effective antenna. 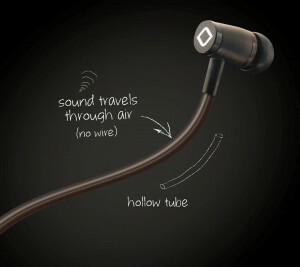 One solution is an air tube headset. These conduct sound, but prevent any radiation from traveling up the wire to your brain.